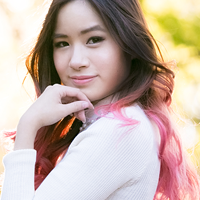 Kim Dao Blog youtube I'm a Youtube Partner! Not sure if you guys have seen, but my Youtube Channel looks different now with new banners! Yesterday I was accepted into the Youtube Partner Program! I'm so happy because I've only been active on youtube for only 2 months and so I couldn't believe how fast I was able to be accepted into this program! I just want to say THANK-YOU to all my subscribers for supporting me throughout the time I've been on youtube. I hope to make more videos that will be able to inspire you guys even more! So I thought I'd just make a quick post on how I got started on Youtube. I made my channel way back when Youtube was first getting popular in 2006, but didn't start off with makeup tutorials. I was posting videos of me playing the piano back when I was in highschool but I deleted them to move them to my "other" channel http://www.youtube.com/xkimdaox but I no longer use that channel. I used that channel to upload random videos I took at our school talent show and also some of my piano videos. To be honest I don't know why I made that new channel and decided to keep my current channel empty. But anyway, I never used to visit youtube much because my internet was really slow back then. It wasn't until around 2009 when I started getting interested in makeup. I was always interested but never really did much. I started doing some modeling back in 2008 and realized that I didn't actually know how to put makeup on properly so I had to get my friend to teach me how to. In 2009 I started buying more makeup and practicing with makeup. I remember when I first started I decided to make makeup videos on my youtube for fun back in 2009. I made a few videos back then, Sunset eyes tutorial, bronze look, and my first ever tutorial was a random one I put together which wasn't very good haha. Back then I had about 10 subscribers so I was so happy people were actually watching my videos. My videos had about 80 views each and the highest view I ever got was around 400 on a video I think. I realized that my tutorials weren't really helpful because sometimes my face wasn't even in the frame so people couldn't even see what I was doing, so I deleted all my old tutorials. When I got back from Japan this year I have been making videos regularly. The amount of support I have been receiving from people has been great and it has encouraged me to keep going. I just want to thank everyone who has supported me because without you guys I wouldn't be able to be where I am now.